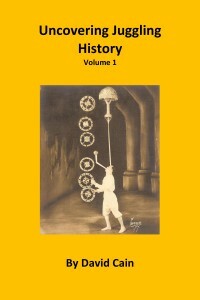 David Cain has written 12 juggling history books (3 in 2016, 4 in 2017, and 5 in 2018) and is already at work writing more. 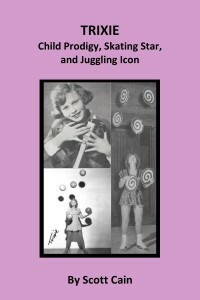 Scott Cain, the assistant curator of the museum, has also written a juggling history book – a biography of Trixie LaRue. 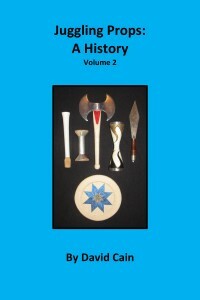 You can order these books by emailing David Cain at davidcainjuggler@hotmail.com and can learn more about them below. They are $15.00 each plus shipping. 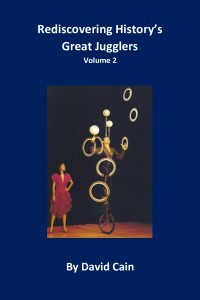 This book provides biographies of 27 great women jugglers of the past and includes almost 200 photos. This book includes detailed biographies of 14 great jugglers or juggling acts that have been mostly forgotten until recently. These acts are The Breens, Richard Eckert, Bert Holt, Bobby Jule, Frank Le Dent, Ferry Mader, The Mowatts, Joseph Rosani, Stetson, John P. Thomas, Woodrow, Youna, Ollie Young, and Zarmo. This book includes numerous never before published photos that help bring these amazing jugglers to life. This book includes biographies of 12 famous jugglers or juggling acts that haven’t been written about in great detail before. These jugglers are Felix Adanos, Rudy Cardenas, Gil Dova, William Everhart, Alexander Kiss, Italo Medini, Ernest Montego, Edoardo Raspini, The Reverhos Trio, The Rudenko Brothers, Salerno, and Massimiliano Truzzi. 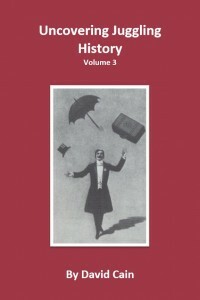 The book features numerous photos, including many that have never been published before. 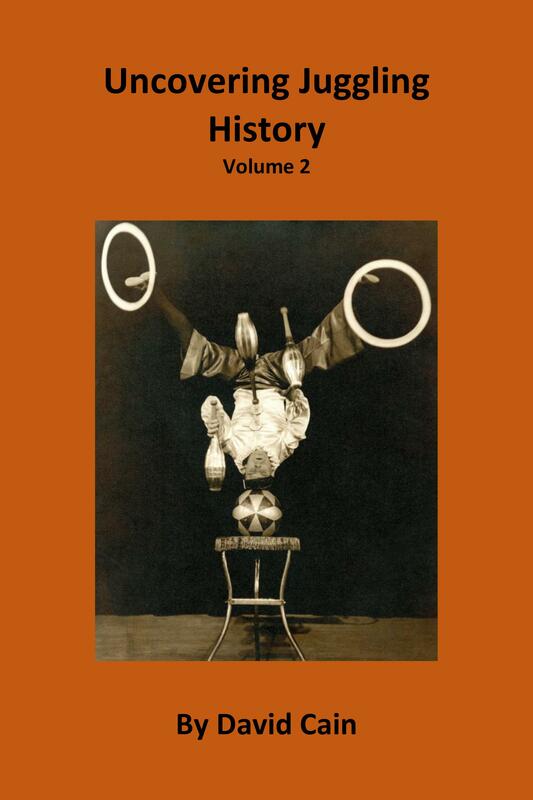 This book includes biographies of 12 famous jugglers or juggling acts that haven’t been written about in great detail before. These jugglers are Anglo, Carl Baggesen, Ben Beri, Serge Flash, Lucy Gillett, Stan Kavanagh, Paul La Croix, George Moore, Lloyd Nairn, Joe Ortnes, King Repp, and Carl Thorson. The book features numerous photos, including many that have never been published before. 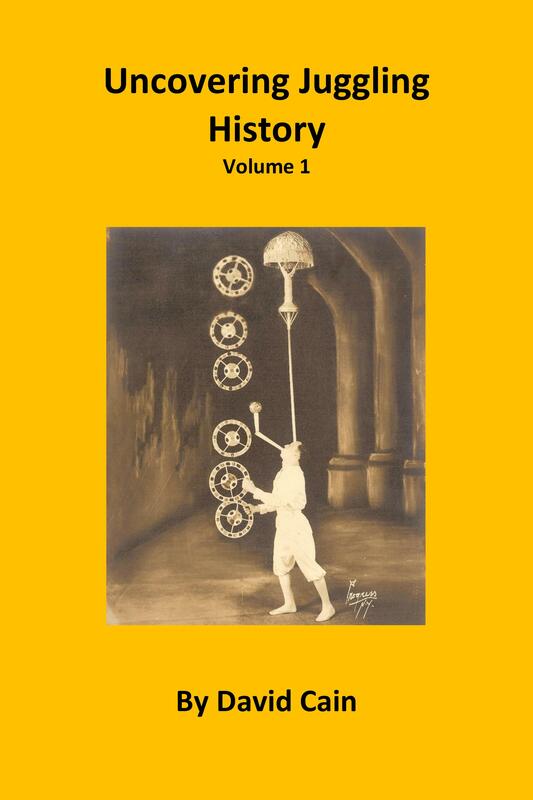 This book includes biographies of 10 famous jugglers or juggling acts that haven’t been written about in great detail before. 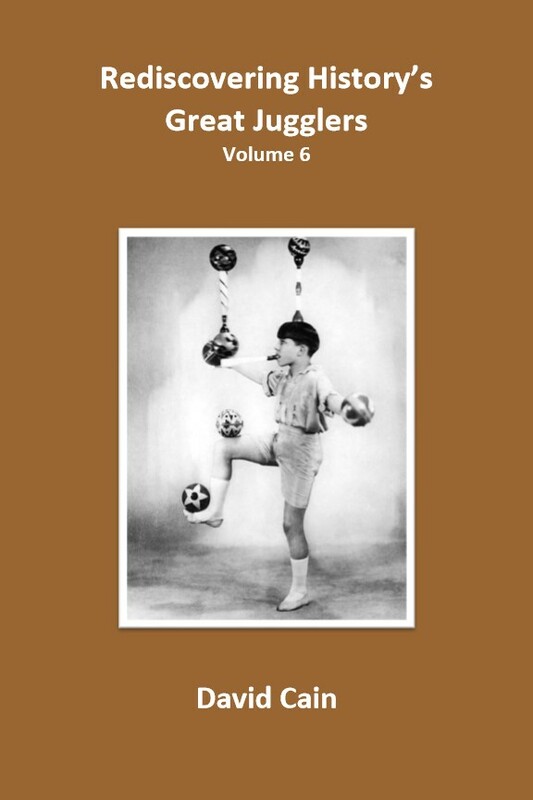 These jugglers are The Alpha Troupe, Harry Barrett, Wolfgang Bartschelly, Chinko, Morris Cronin, Frankie Ferrer, Boy Foy, Jacky Lupescu, Pemani, and Luly Perezoff. The book features numerous photos, including many that have never been published before. 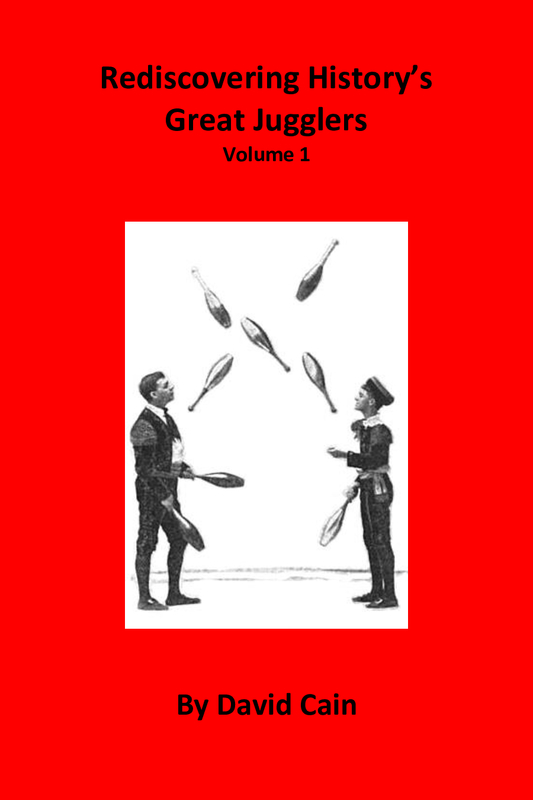 This book includes biographies of 10 famous jugglers or juggling acts that haven’t been written about in great detail before. These jugglers are Francisco Alvarez, Tom Hearn, The Great Knetzger, Gus, Ursula, and Don Lauppe, Lothar Lohr, Gaston Palmer, The Peiro Brothers, Franco Piper, Joe Taylor, and Toni Wells. The book features numerous photos, including many that have never been published before. 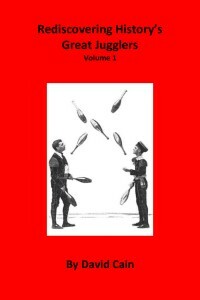 This book includes biographies of 10 famous jugglers or juggling acts that haven’t been written about in great detail before. These jugglers are Paolo Bedini, Les Dougalls, The Ferronis, Lew Folds, Bill Gnadt, Michael and Tux Kopelky, Grorge Lerch, Eric Philmore, and Severus Schaffer. The book features numerous photos, including many that have never been published before. This is the first book to examine the history of juggling props. 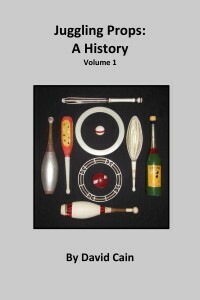 Volume 1 examines the history of balls, rings, and clubs. 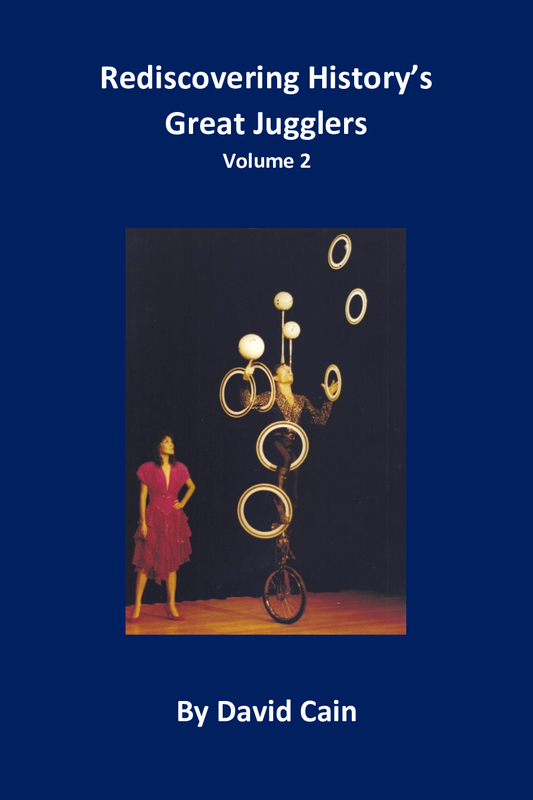 This book examines forgotten juggling props of the past, the earliest known juggling prop catalogs, and the history of mass marketed juggling sets. 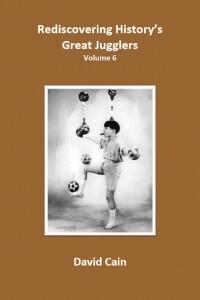 This book details “Juggling Firsts”, many of the greatest juggling tricks of all time, and the history of various forms of juggling. 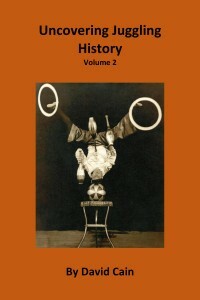 This book examines the history of different types of juggling and juggling tricks. 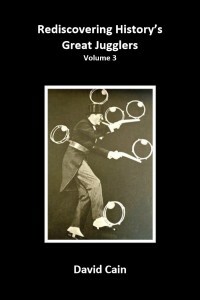 This book examines the history of various rare and mostly forgotten juggling tricks, routines, and props. This book examines the life of Trixie, one of the greatest jugglers and ice skating performers who ever lived. 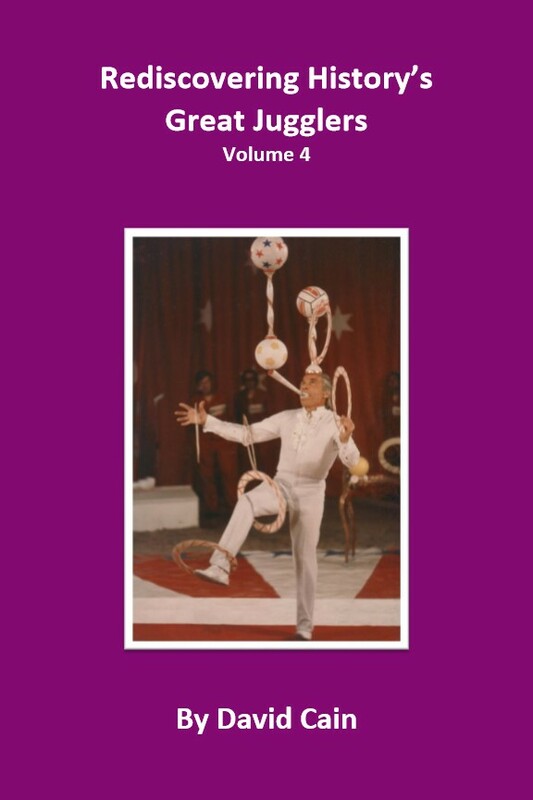 Enjoy over 120 photos and many never before shared stories and insights about this juggling legend.